Rag Rugs, woven chindi-style with strips of cotton, by VHC Brands, IHF, and Raghu. Front door sized up to entire living room area rugs! The Bramble Collection features a color palette of black, gold, grass green, and red. This is for the Woven Rug. 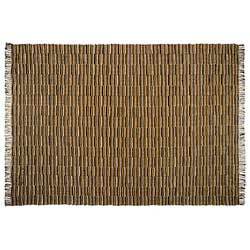 Burlap Natural Chindi Rag Rug, by Lasting Impressions. The Burlap Collection is a soft, cotton woven burlap adding a natural look that coordinates beautiful with almost any decorating style! This is for the Chindi Rag Rug, in the larger sizes that are considered special order. Sizes available: 3 x 5 foot, 4 x 6 foot, 5 x 8 foot, 6 x 9 foot, 8 x 11 foot. Has fringe on either end. 100% cotton. Coordinates many other Victorian Heart Collections! Other pieces also available. 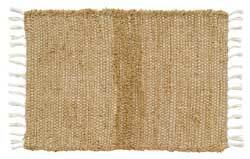 Burlap Natural Chindi Rag Rug, by Nancy's Nook. The Burlap Collection is a soft, cotton woven burlap adding a natural look that coordinates beautiful with almost any decorating style! 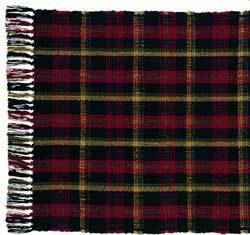 This is for the Chindi Rag Rug in the 20 x 30 inch size, which has fringe on either end. 100% cotton. Coordinates many other Victorian Heart Collections! Other pieces also available. Burlap Natural Chindi Rag Rug, by Nancy's Nook. The Burlap Collection is a soft, cotton woven burlap adding a natural look that coordinates beautiful with almost any decorating style! 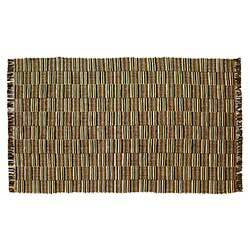 This is for the Chindi Rag Rug in the 27 x 48 inch size, which has fringe on either end. 100% cotton. Coordinates many other Victorian Heart Collections! Other pieces also available. Providence Chindi Rag Rug, by Lasting Impressions. This rug is made of 100% cotton strips in a palette of dark red and tan. This is for the larger area rug, in the special order sizes. Choose the 3 x 5 foot, 4 x 6 foot, 5 x 8 foot, 6 x 9 foot, or 8 x 11 foot. Has tassels on the two ends. Spot cleaning recommended. Due to the handmade nature of this product, sizing might vary slightly. 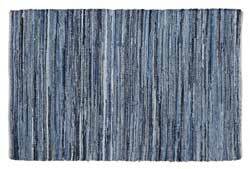 Providence Chindi Rag Rug, by Lasting Impressions. This rug is made of 100% cotton strips in a palette of dark red and tan. This is for the 20 x 30 inch size. Has tassels on the two ends. Spot cleaning recommended. Due to the handmade nature of this product, sizing might vary slightly. Providence Chindi Rag Rug, by Lasting Impressions. 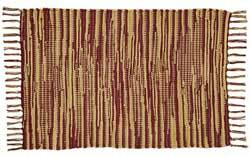 This rug is made of 100% cotton strips in a palette of dark red and tan. This is for the 27 x 48 inch size. Has tassels on the two ends. Spot cleaning recommended. Due to the handmade nature of this product, sizing might vary slightly.